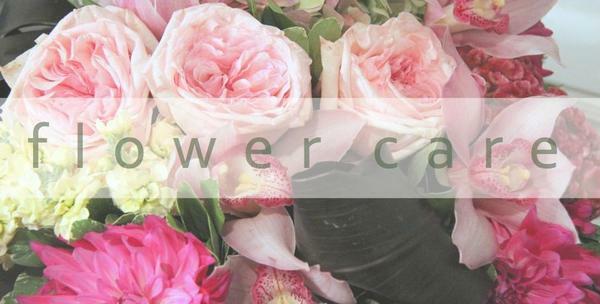 How to make your Flowers Last Longer - Cut Flower care tips. We believe looking after your flowers should be a fun and rewarding part of enjoying your gift. The Number 1 most important Tip I can give you for your flowers is "Enjoy them!!" - Look at them, smell them, notice them, watch them open, really enjoy the whole experience of having flowers in the house and how good they make you feel!! You will find most of Best Blooms flower deliveries go out in a water-filled vox (portable vase) with flower food included. This means the recipient doesn't have to do anything to them and can either simply leave them in the vox, or if they prefer, transfer to their own vase. They are easy to take care of - just add fresh water into the vox inside the heavy duty waterproof liner. Ensure you do not get the bottom of the vox wet. Yes you can leave the pretty wrapping on your flowers or remove it - It's your choice. If you decide to transfer your flowers from your vox into a vase OR if you have a bouquet of cut flowers - this is how to treat them right to ensure long-lasting freshness. Clean your vase. Get your gloves on and give your vase a really good scrub out with a brush and a small splash of Janola. This will kill any germs or bacteria on your vase which will infect the water. Add the Flower Food to the vase (you will have received a sachet with your flowers from Best Blooms). Yes it really does work! One sachet will make up .5 litre of water and the flowers will open better and last longer. No - Lemonade, aspirins and an old coin will not work and will just infect your water. Leave the bouquet wrapped and let them have a deep drink for a few hours before unwrapping. This will prevent damage to the flowers as you arrange them as the stems and blooms fill with water and go more turgid. Use a sharp knife or secateurs to cut 1 to 3cm off the bottom of the stem on an angle. Remove all the leaves from your flowers and foliage that are going to sit below the water. Rotting leaves pollute the water very fast and are toxic to your fresh blooms. Do not put flowers in the sun or in a draft or in front of the air-conditioning as this will cause them to wilt. Oh yes and not on the TV. Did you know that putting your flowers near fruit will make them die quicker? Yes it's true - Fruit gives off Ethylene gas which will have an effect on the life of your flowers. If you really want your flowers to last the longest - then please re cut them daily (or as often as you can) and put them into clean fresh water each time. In truth most of us don't have time for that! Here's what I do... Take the leaves off the bottom, recut the stems and put them in a scrubbed clean vase with flower food. Then a few days to a week later, I take them out, take off any spent blooms, leaves etc and recut them really short and place into a smaller, shorter vase as a posy. They will easily last for another week this way! You may have received a floral arrangement, which is a more compact design arranged into the wet florists foam called Oasis. As you will see on the care instructions included with your flowers, an arrangement really does need water added to the oasis every day as it does dry out quickly.